The 23rd day of the month of April is highlighted in red on every calendar in Barcelona and throughout Catalonia. On that day is the festival of Sant Jordi (known to many as Saint George) and is celebrated as the day of books and roses. The vibrant, bright red is one of the hallmarks of the Catalan province and its significance is actually said to come from the story of Sant Jordi. It represents the blood shed while Sant Jordi was valiantly defending the Catalan territory from a dragon, but also the colour of passionate love and thus this holiday is one of both local pride and for lovers. Far from a typical day in the city, the streets of Barcelona fill up with people, book sellers, and rose peddlers. Lovers (and friends alike) search out the most luscious rose to gift to women and girls and the most curious, wonderful books to give to boys and men. It starts to get crowded in the mornings, but the party really starts as the schools let out for the day sending children out to navigate the decorated streets. 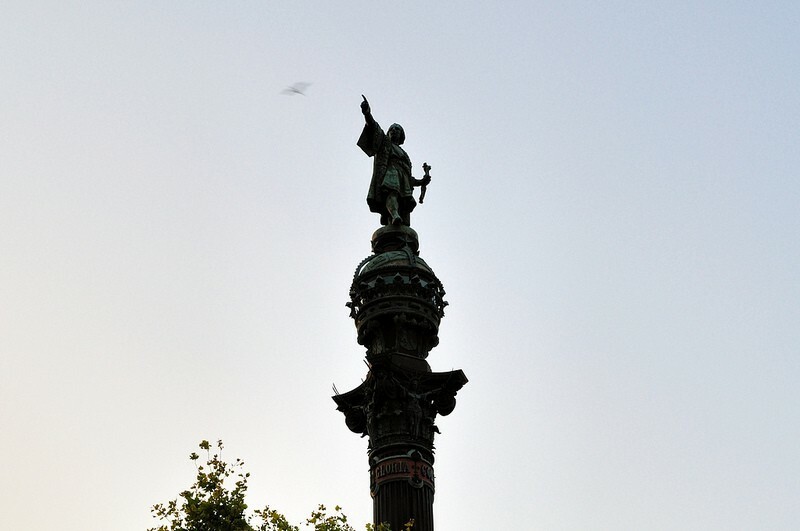 The city centre, especially at Las Ramblas, is packed with people, but each neighbourhood also has its own festival with vendors selling books and roses. 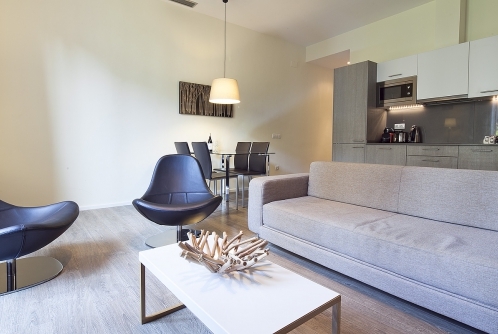 Try taking a walk down the Rambla Catalunya, through Plaza Catalunya, and down the famous La Rabla promenades to see the best of the festivities. In addition to being the holiday of lovers and for children to buy their first books or sell roses on the street, the holiday is of great local importance. 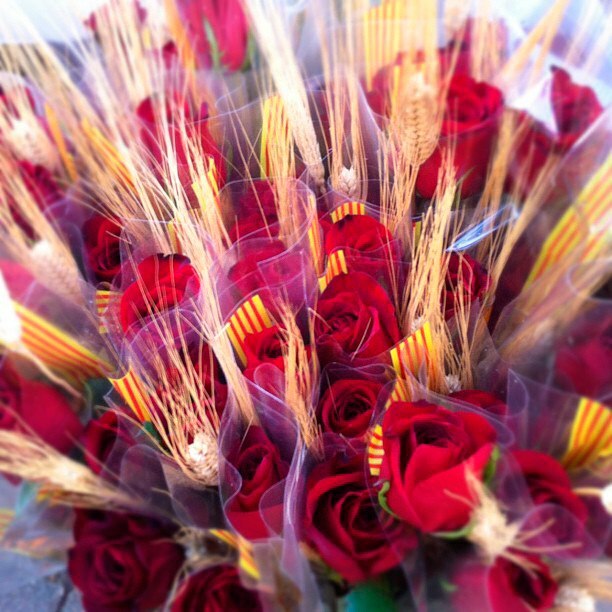 Sant Jordi is not just another saint, rather he is the patron saint of Catalonia. Many official buildings are decorated ornately with flowers, especially roses and the Palace of the Regional Government (Palau de la Generalitat) opens up its doors to the public to see the brilliant spectacle inside. Going back out into the street, you can sense the pulse of this city and its anticipation of the summer. 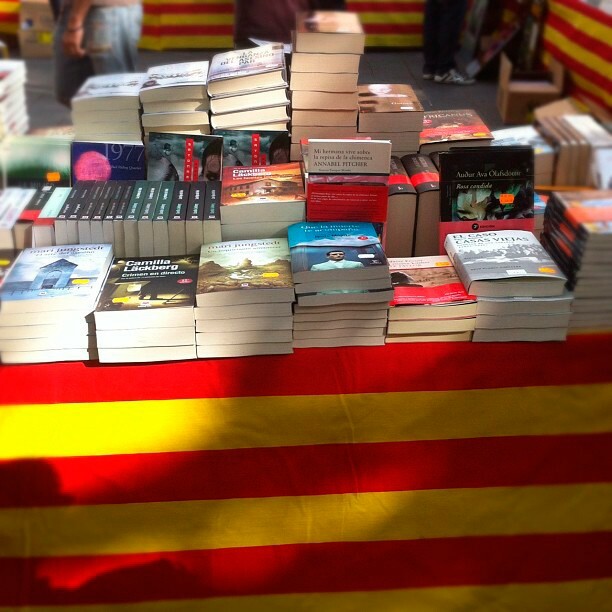 To the joy of Catalonia´s avid readers, many books are offered at a discount and so lists of desired books are prepared in advance. What books will you keep a lookout for? Who is your rose destined for? Let us know! We are organizing the first Aspasios Blog Night Out!